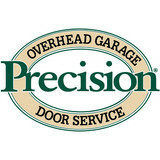 Precision Door Service is a locally owned company backed by a National Franchise. We strive to bring excellent customer service to every customer by offering emergency service, phones answered by a live operator 24/7, and fully stocked trucks. We want to fix your door the first time we are out. 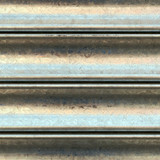 We are the Greenville areas’s Finest Garage Door Installation and repair company. We have the guaranteed lowest prices on new doors. Bring us a quote from any national competitor, and we will save you money. When it comes to repair we are tops there also. Our service calls are only $29.00 with repair, and we never install parts that you don’t approve. If you want an honest deal from a local repair company that has over 50,000 satisfied customers in the Greenville metro area, call us at 864-624-2688. To learn more about our customer experience, check out our reviews page. We have great reviews on Google, Yahoo, Angie’s List, as well as other leading review sites. What types of garage door service tasks do contractors in Hoopers Creek, NC provide? 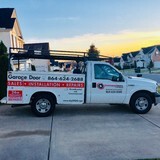 A damaged garage door can lead to increased security risk, ruined belongings and an unpleasant exterior, so look for Hoopers Creek, NC repair professionals who provide same-day or emergency services if the damage is extensive and poses a potential health and safety risk. Find Hoopers Creek, NC garage door repair professionals on Houzz. Narrow your search for garage door repair professionals by selecting the nearest city or zip code. Look at portfolio and product photos, and read reviews to find the best garage door contractors in Hoopers Creek, NC for your home.